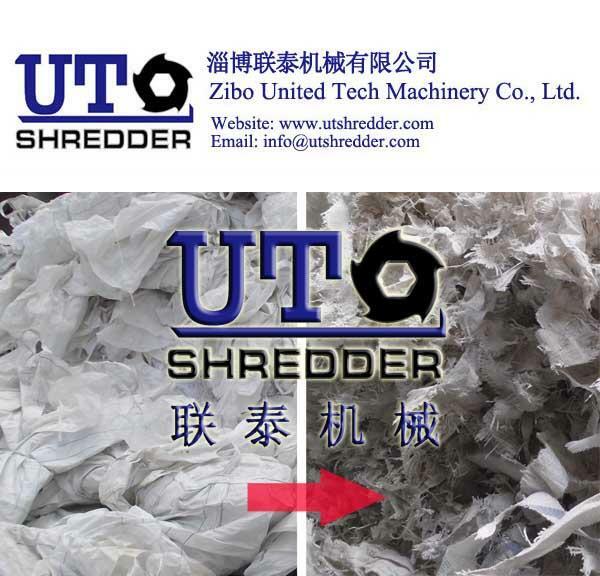 If you have plastic in various shapes and sizes and you need to turn these scrap materials or components into a commodity that can be recaptured for use in your manufacturing processes, then our plastic shredder machines -Zibo United Tech Machinery Co., Ltd. are what you need. It doesn't matter if it's small PET bottles, PVC, vinyl, plastic containers, long strips, purgings or a host of other sizes and configurations, getting it down to a manageable or reusable size is one of the first steps in the reclamation and recycling process. The equipment needed for this initial size reduction varies depending upon the plastic being reclaimed. Plastic Film Shredder/Woven bag shredder has two rotors built into the machine that rotate at medium speed, highly active and low noise. It is suitable for processing a wide range of materials that includes plastic film, woven bags, fiber, and etc. According to different material, Zibo United Tech Machinery Co., Ltd. can have co-responding rotors.